Born to first generation Italian-American parents in New Jersey, Sarina Rose's early childhood memories of living in the four family apartment house with extended family decorate her books. Two cousins living in the house and two uncles on her mother's side were drafted and served in Europe and Japan. One was killed in France. Her father’s family occupied the four apartments throughout her childhood into her late teens. The families took their meals together and she wandered through the apartments at will. She attended local public school and learned to use the public library as a youngster. She graduated from the College of Saint Elizabeth in Morristown, NJ with a B.A. and a certificate to teach Spanish grades K-12. Sarina taught seventeen years in several New Jersey school districts while raising four children and working as a tutor and insurance service representative. Sarina says she is lucky enough now to live near the beach on the Space Coast in Florida with her husband and their two loveable dogs, Andy, a Labradoodle, and Cici, a Shih Tzu. Sarina Rose is a member of Space Coast Authors of Romance and Romance writers of America. She is also a member of the Melbourne Women’s Club. 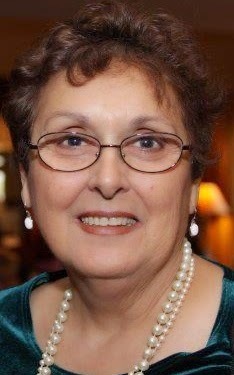 “I enjoy the Women’s club where I am the Arts Chairperson and contribute to the monthly newsletter. She quilts children’s blankets for local hospitals and wheelchair bags for nursing homes. Sarina is a docent at the Ruth Funk Center for Textile Arts at the Florida Institute of Technology and leads a lively discussion of publishing at S.A.I.L. (Senior Adventures in Learning). A.) I always wanted to take Creative Writing 101, but in college it was low on my list. When I taught school, one year I was required to teach Creative Writing. After trying to teach out of a textbook, I enrolled in an on-line course and fell in love with process of the muse. I sent some work out to periodicals and was luck enough to have one published. That was very uplifting. I felt validated by a second source. However, my schedule was tight and writing took a back seat. Four years ago I moved to Florida and began a life long vacation near the beach. I opened up my Creative writing folder, took some classes, crashed a Space Coast Authors of Romance meeting and was hooked. A.) The most difficult part about writing are the decision I have to make every day and late at night to stop writing and do my household chores or shut down the computer and go to bed. I do not have a hard time finding inspiration. Lots of things spark ideas for me. I might hear a phrase and think that it is a good title for a book. Finding the correct word or phrase for what I want to express can be daunting. A.) I still feel that my first project is not completed. I want to go back and add more. Nevertheless, I felt acknowledge and validated when the book was accepted by two publisher. Contracts in hand I decided to refuse both and self-publish. I could not bare the thought of giving up control and rights. 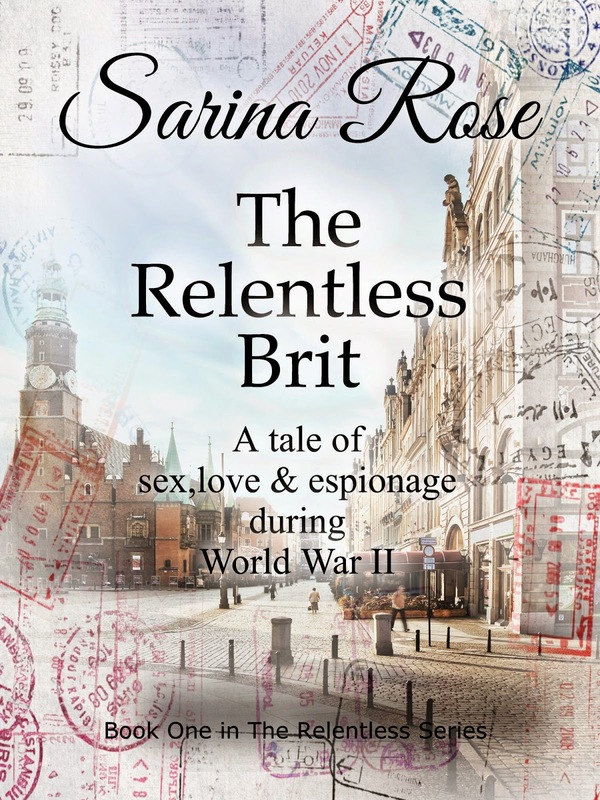 So here I am with debut novel, THE RELENTLESS BRIT, first in a series. When the printed proof copy came in the mail, I didn't open it for three or four days. I wanted to savor the anticipation. I felt light and high as heaven. A.) Let me sat this. For THE RELENTLESS BRIT, I thought of my aunt who was married on the day the Japanese bombed Pearl Harbor. Then I looked at the scene in my mind and remembered her beautiful wedding picture. Then I wondered what if she had made a different choice. What if she had decided to join the army instead of getting married. What if she had lived in Italy or Germany. My story evolved from those ideas. After I wrote the plot, I went back and enlivened my characters. So, I guess you could say that character and story are equally important to me. A.) I go to bed around midnight and then read for an hour or two. In the morning I say goodbye to my husband from under the covers and sleep another hour until eight or so. I get up, turn on the TV and the laptop. I might start writing right then as I am doing now, check email, and then turn to writing more. I have to walk my big labradoodle and let the Shih Tzu out in the back. I eat and go back to writing. The dogs keep me company and labradoodle will bark for me to get up out of the chair every hour or two. Sometime during the morning I get up, shower, and do errands. At three o'clock I stop whatever I am doing and spend one hour in prayer and rest. I get back to writing around 4:40 while dinner is cooking. After dinner I write more. It is unusual for me to write without the TV. If it bothers me, I may mute it for a time, but the pictures are always there.